The Public Accounts Committee received a 44-page Garda Internal Audit Section report on serious financial irregularities at the Garda College in Templemore on Monday. It looked at financial transactions at the college from 2009 to 2016. It also received a further 13-page report in relation to how the recommendations of the GIAS report are being implemented. 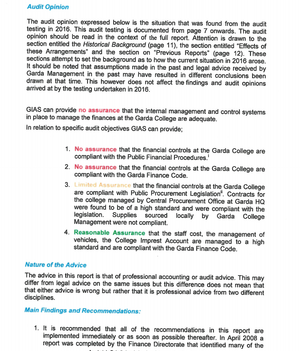 Auditors discovered that 37% of all expenditure linked to the college’s laundry service account in 2008 had nothing to do with laundry. Instead €7,231 was spent on meals and entertainment, €2,150 was given to parish clergy, €1,040 to the golf society and €300 spent on jewellery and gifts. 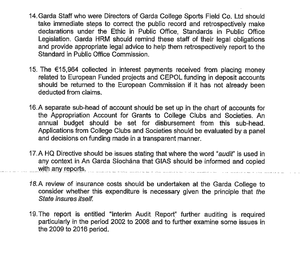 A loan facility was also operated from the account with amounts of up to €500 being borrowed and repaid. The audit discovered 50 bank accounts in total and said the current system of banking had resulted in a “non-transparent system of accounting”. 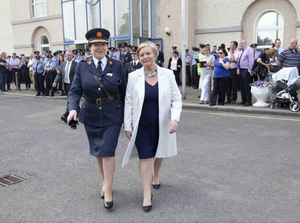 Garda Commissioner Nóirín O’Sullivan was asked about it on the Today with Seán O’Rourke show the following day – saying twice during the interview that the concerns raised were “legacy issues”. This morning chair of PAC, Fianna Fail TD Sean Fleming said PAC will be asking the general secretary of the Department of Justice and the Garda Commissioner to appear before PAC to discuss the reports. 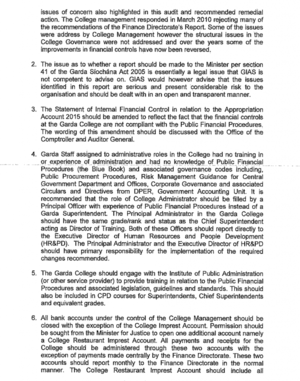 From the executive summary of the GIAS report…. This morning, Social Democrat TD Catherine Murphy spoke to Cormac Ó hEadhra, who was filling in for Seán O’Rourke, about the report and why she believes the Minister for Justice Frances Fitzgerald mislead the Dáil about the matter on February 9 of this year. 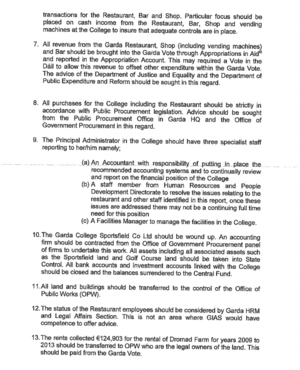 Posted in Misc and tagged Catherine Murphy, Garda college, GIAS report, John Mooney at 12:50 pm on March 29, 2017 by Broadsheet.